We have taken ample time to dwell on the interview granted by Alhaji Tanko Yakassai and we have most sufficiently subjected the said interview to the forensic analysis of sapient extrapolation. Our aim is not to ridicule but rather to illuminate the darkest recesses of the unattainable ambitions of the core North in relation to Biafra. Let it be said unequivocally that Yakassai's statements are inordinately over-ambitious. The points he raised cancelled out each other, so we see it as being ill-thought out, divergent, and outrightly riotous. We members of IPOB Worldwide under the leadership and supreme command of Mazi Nnamdi Kanu shall in this rebuttal, endeavour to subject Yakassai's submissions to the utmost intellectual scrutiny, with a view to systematically dismantling his misguided utterances he visited upon unfortunate Nigerians not knowledgeable enough to appreciate the contradictions inherent in his postulates. We find it a convenient starting point to note that in Biafraland people of Yakassai’s age, in times gone by, are accorded great respect for their characteristic wisdom which comes with age. This elevates such elderly individuals to the rare altitude of ‘sages’. The sapient judgment and effulgent wisdom usually radiated by people of Yakassai’s age command immeasurable respect from all and sundry in the by-gone era of truth and wisdom. Unfortunately this is no longer the case these days as our elders no longer speak the truth or are too terrified to do so for fear of upsetting their paymasters. What we have now are old men without honour nor conscience. Elderly men who shouldn't be afraid to speak the truth are now afraid to stand up to speak the truth and damn the consequences. Most unfortunately, the deeply regrettable poverty of thought encapsulated in Yakassai’s Saturday interview in the Sun newspaper confirmed our long held suspicion that, even in the evening of his life, that rare class of ‘sages’ to which he ought to belong, has eluded him. Such a life-time misfortune is his own cross to bear, it cannot detain us here. Sufficient to note that we shall not allow ourselves to be drawn into the fray of rants with which Yakassai corrupted the interview he granted. Such use of avoidable gutter language like his reference to 'irritants', have most shamefully grounded and graded him among the street urchins, scallywags and rapscallions of the North, despite his age. We earlier observed that the entire landscape of his interview was riddled with self-contradictions. We now shall proceed to deploy our fine tooth comb in sifting out the chaff from the grain. In one breath, the 'Elder Statesman' as they love to be called, made so many affirmations about the undeniable spirit of excellence resident in this Biafra nation and spoke glowingly of the Igbo tribe. Hear him; "The Igbo are the most hardworking people, not only in Nigeria, but in Africa. It is that hard work that made the Igbo, for example, when it comes to commuter transportation in Nigeria, everybody has surrendered to the Igbo, so also in the areas of building materials, electrical and electronics, vehicle spare parts, pharmaceuticals, stationery, etc… In the next 100 years, the Igbo through their hard work would be a dominating force not only in the West Africa but in Africa." Yakassai bemoaned the absence of good leadership as being responsible for the terrible state of the Nigerian economy, the general disgraceful and retrogressive state of affairs prevalent in Nigeria today. In these self-indicting words; "....with good leadership – leadership with vision and plan, and one day God will give us such leadership. It is leadership that makes India what it is today, likewise China. It was leadership that made Nigeria what it was before." Having first laudably admitted that the economy of the Biafran nation is undeniably resilient and one that has the plenitude and latitude of capacity to determine the future of the entire Africa in the next 100 years, this Northern "Elder Statesman" even took the notch higher by admitting massive and corrosive failure of leadership by the Northern dominated apparatus of governance in Nigerian. He finally iced the cake for the Biafran Nation with his loud affirmation of the existence of the right to self-determination by retorting that "nobody is saying that the right is not enshrined". Having come this far, the only inescapable inference is the concurrence of the "Elder Statesman" with the inexorable factual situation that referendum is the last lap for the completion of the Biafran Project. However, instead of channeling his energy towards advising the Government of the day, led and peopled by his Hausa-Fulani kinsmen, to lend its institutional weight as required of it under extant International Laws, in completing the cycle of Biafran Restoration, he rather somersaulted and started entertaining fears that it might not be well for IPOB in our promised land of Biafra. This is clearly taking a position parallel to the one he took earlier. 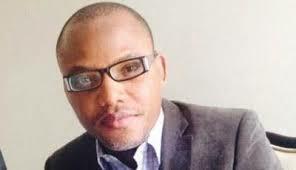 Hear him now: "Kanu and his friends are just irritants. They are saying what they are saying just to make some people annoyed; they just want to annoy people in power. They are not serious. What homework did they do to convince people that they would be better off in Biafra? How do you think that Governor Wike will agree to be with Biafra; how do you think that Governor Okowa will surrender Delta to Biafra?" The question might then be asked, what is Kanu and his followers saying? Our answer is very simple. In view of the decadent values, collapsed infrastructure, visionless, massively corrosive, endemically corrupt, retrogressive and directionless leadership prevalent in Nigeria today; where destructive tribalism, ethnic jingoism, religious extremism, uncaged state sponsored marauding terrorists in Fulani herdsmen prowling the land freely, unending terror campaign by Nigerian Army, Police against innocent law abiding citizens, weak compromised judiciary, ever depreciating and sinking currency, overwhelming and galloping inflation, poverty and frustration induced suicides of citizens, we are poised to restore our nation Biafra, which Yakassai correctly identified as holding the economic salvation of the entire Africa in the next fifty to a hundred years. That is what "Kanu and his friends" are saying. What problem does Elder Yakassai have with this noble ambition, the right of which he affirmed exists in us. The truth of the matter is that Biafra, when fully restored, would not be scourged with the yoke of visionless leadership we see today plaguing this British created contraption Nigeria. This same Nigeria even till today, has continued to sprinkle its bewildered despondent citizens with the callous ashes of untold misery, disillusionment, class frustration, economic wretchedness, biting poverty, and most recently suicides. This is the only gift Nigeria has to offer to millions of its citizens, painfully miserable life and premature death. To add insult to injury, the government of Nigeria responsible for this level of untold misery and shame are run by Yakassai’s kinsmen Hausa-Fulani. We have it on record that 'Elder' Tanko Yakassai, has served as Liaison Officer to President Shehu Shagari. This is a man who informed us in this same interview that “I was never sent to school. I was taken to school, after one week they removed me till today; all I got was through my personal efforts. You can imagine if I were privileged to acquire formal education, you know where I was going to stop?" Good Lord! Why would Nigeria not continue to grapple with leadership failure when men of limited education as 'Elder' Yakassai, who by his own admission never acquired any formal education, could suddenly rise to the position of a Liaison Officer to the President. How damning! The world can now see the quality of people advising Buhari and why the economy is in such an awful mess. Instead of naively waiting in vain, with the likes of 'Elder' Yakassai in power, for God to come down from heaven and do for us that which he has given us the ability to do for ourselves, we IPOB have determined to restore the nation of Biafra by the grace of God. A nation where all these ills bedevilling Nigeria today can no longer haunt us. We are irrevocably committed to correcting all these ills with a steely resolve, grit and determination unmatched in the history of black civilisation. Those Hausa Fulani children and youths begging on the streets of Kano, Sokoto and Zaria today will be provided meaningful jobs and education in Biafraland should they choose to migrate southwards upon the emergence of Biafra as an independent nation. In Biafra there will be no discrimination of any sort, regardless of status or place of origin. Once you make it to Biafraland from anywhere in the world, you are a free person, valued and respected because you are a human being not an animal. In Biafra, all will be free from persecution and molestation. In this Biafra of our dreams, round pegs will be put in round holes. The best shall lead the rest. It is abecedarian that one cannot walk both sides of the street. 'Elder' Tanko Yakassai cannot have it both ways. It is too late to save Nigeria as presently constituted by the British.